Create an interesting story that would make the treatment of ODS for children. We have created for children a series of self-coloring book with cartoon friends. 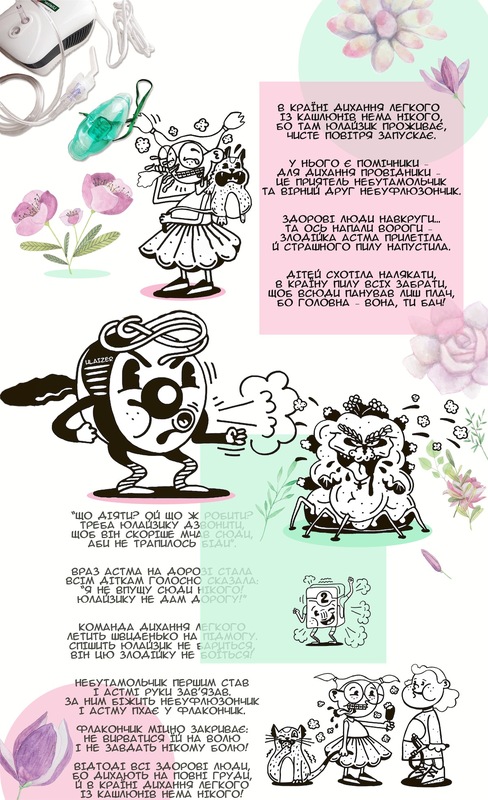 The prototypes of the characters served: inhaler Yulayzer, he is the main character “Yulayzik” and his assistants – healing drugs. © 2012-2019, Euphoria Production, studio branding and design. Your message has been sent successfully and will be reviewed by us soon.